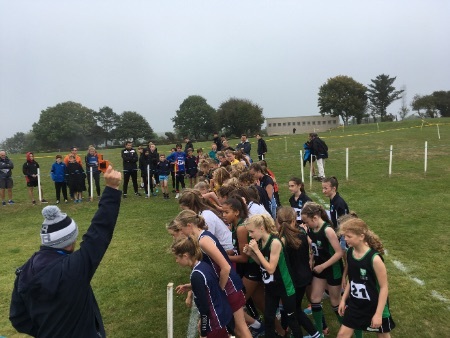 On a cold and windy day our cross country teams all performed well in the first round of the England Schools Athletics Association Cross Country Cup. Held on our own course the boys and girls were familiar with the venue but there were some excellent runners from the other 12 schools who were competing. 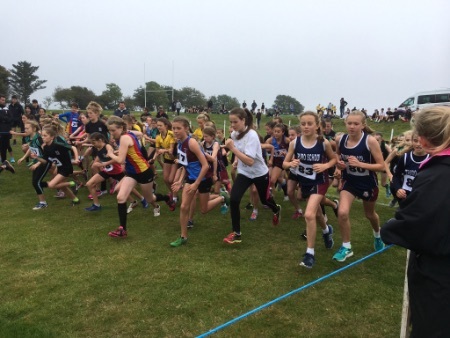 In the Junior girls race Anna English led the team home coming in 10th position and overall the team finished in 5th place. 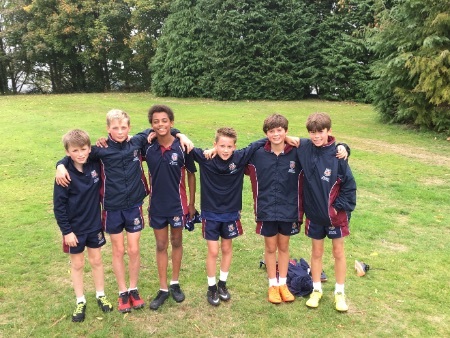 Team performance of the day came in the Junior boys race with all 6 runners finishing in the top 14 places with Archie Mallett finishing in second and Ted Phillips in 4th and the team coming first overall. In the Inter girls race, again the team were placed 5th overall with some good running from all the team but especially Izzie Leigh who came in 2nd only 10 seconds behind the winner. Individual performance of the day went to Isaac Murray who came 1st in the Inter boys race, winning by 28 seconds. He was ably supported by the rest of the team and they were placed second overall. Both our boys teams have now qualified for the Regional Final at Downside School in Somerset on 10th November. Thanks to all the staff and Sixth form students who helped to ensure the smooth running of the event. Special thanks to Paul Manning from the CSAA committee and Ross McCartney a long standing cross country parent who helped set up and take down the course.